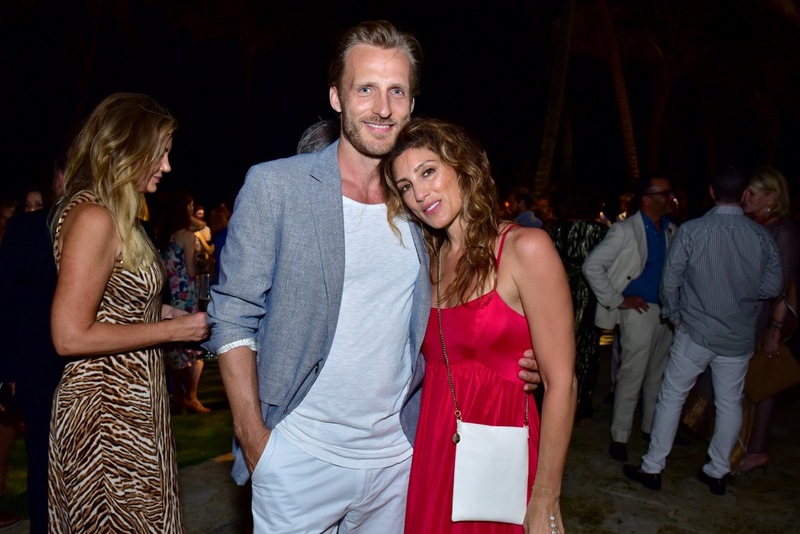 Hollywood Hamptonites recently turned up “en vigor” to celebrate the post-hurricane recovery of Puerto Rico and the return of Dorado Beach, a Ritz-Carlton Reserve for a pre-Thanksgiving weekend extravaganza. 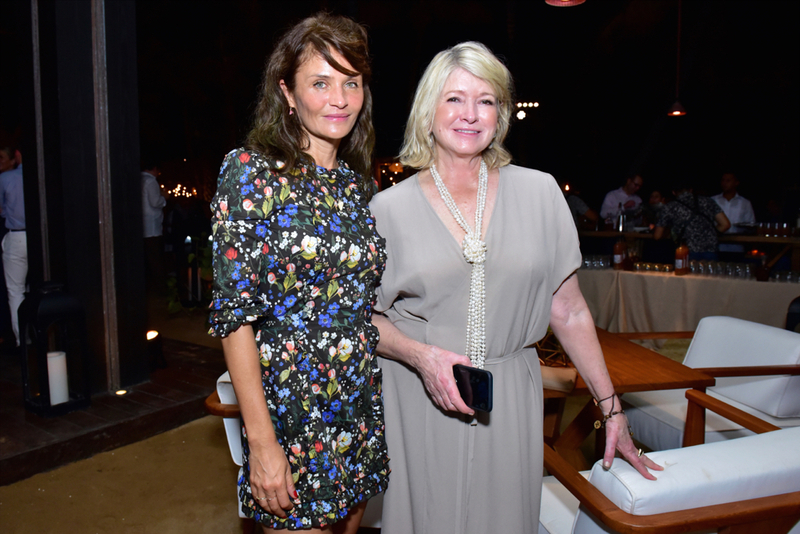 Martha Stewart, Neil Patrick Harris and David Burtka, Jennifer Esposito, Cynthia Rowley, and Mariska Hargitay and Peter Herman were just a few of the stars on hand alongside philanthropists, journalists, and key players who were instrumental in the resurgence of the beautiful island of enchantment, Puerto Rico. 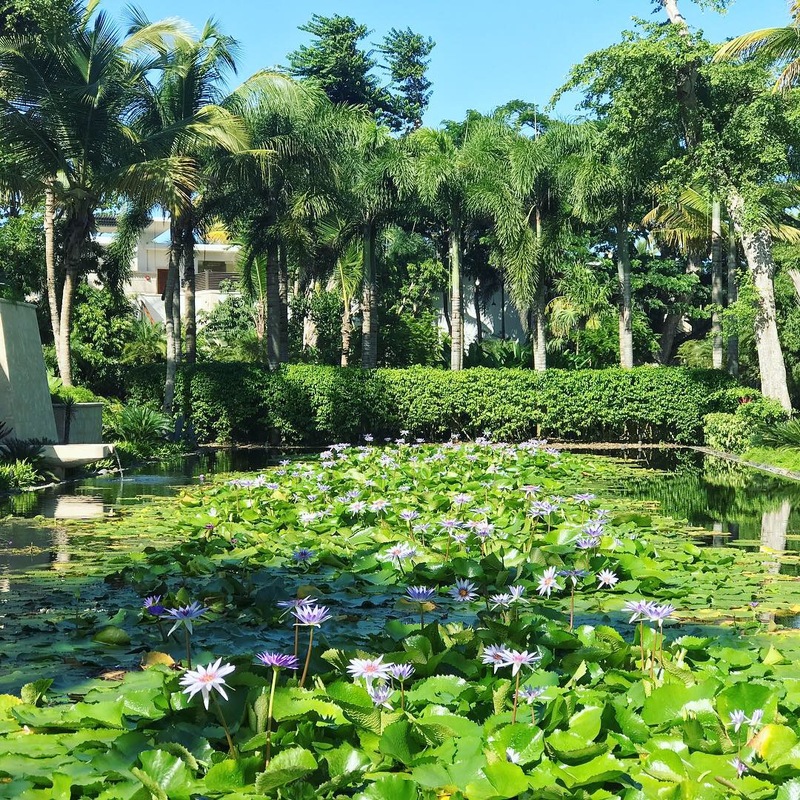 Once a plantation, the meticulously restored Dorado Beach Reserve is the most exclusive Caribbean luxury resort in Puerto Rico, inspired by the legacy and memorable vacation experiences of its original developer, Laurance S. Rockefeller. 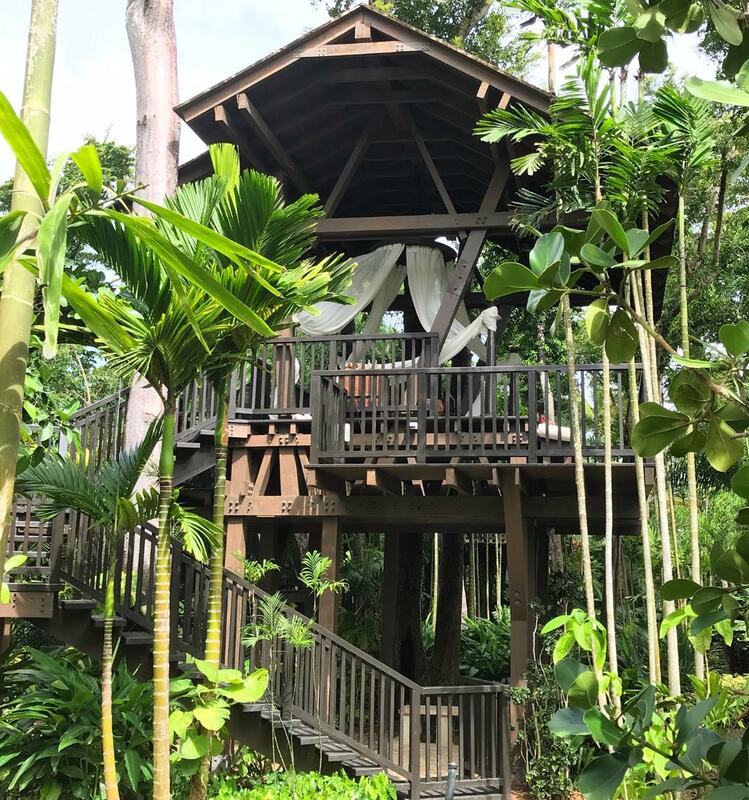 Its remoteness, discreet individualized service and deep respect for the environment distinguish it from other ultra luxury resorts. 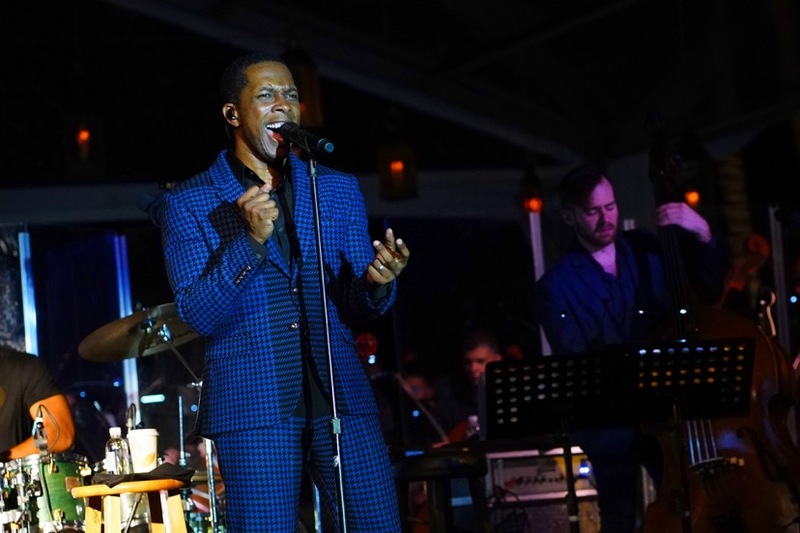 Over the course of the event filled weekend, Uma Thurman, Coco Rocha, Gayle King, and other glamorous guests enjoyed spectacular and exclusive performances by Questlove, Grammy and Tony Award Winner, Leslie Odom Jr. of the original cast of Hamilton, the Puerto Rico Philharmonic Orchestra and Tony Okungbowa. 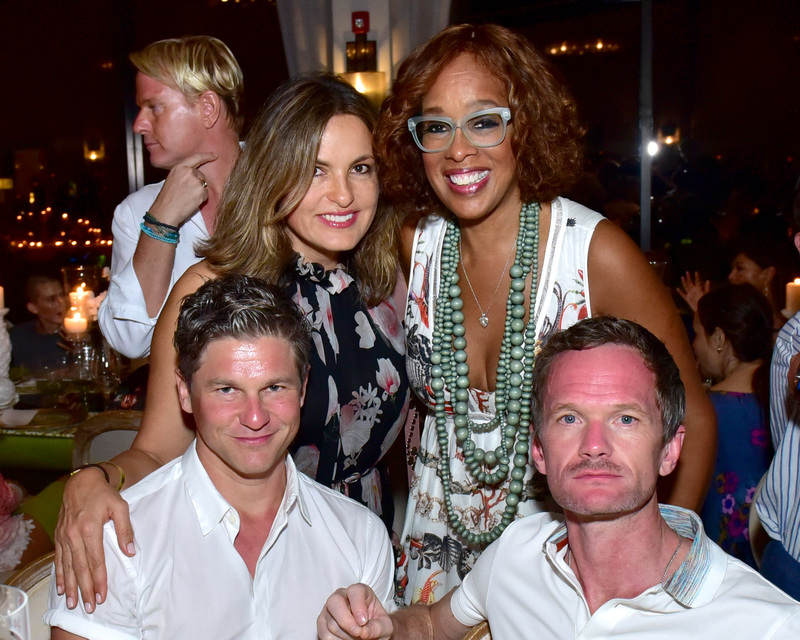 Actress Mariska Hargitay and her family danced barefoot in the sand to Leslie’s captivating performance. 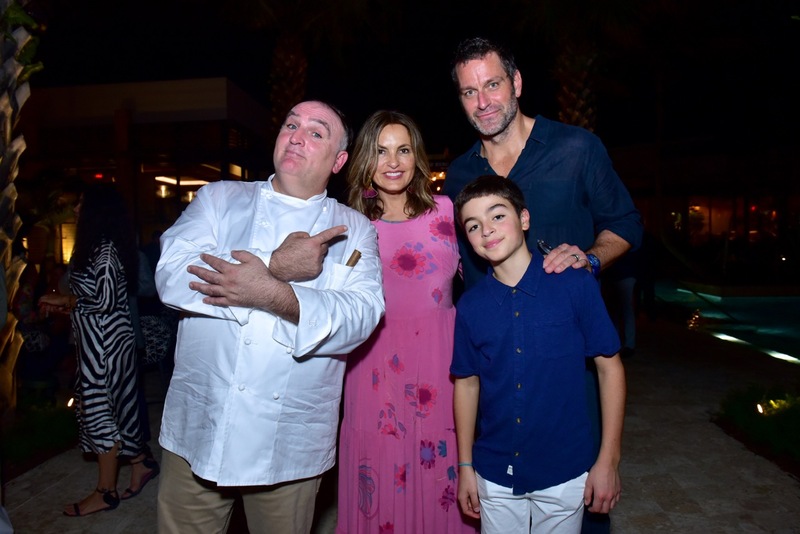 A memorable “Chefs of Puerto Rico” event was hosted by humanitarian chef and author of the New York Times bestselling “We Fed an Island”, Chef José Andrés, in collaboration with the island’s most elite culinary talent. 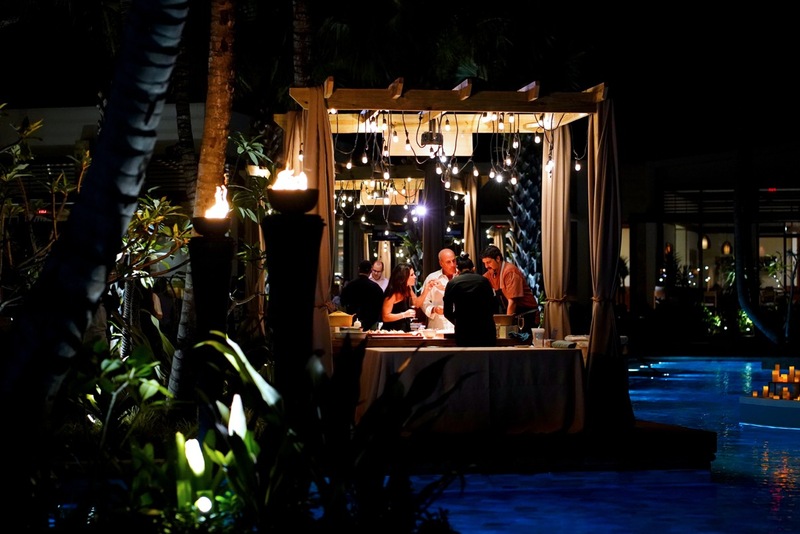 Top chefs from the best surrounding restaurants set up charming island outposts poolside for guests to nosh, chat, and learn more about the amazing recovery efforts. 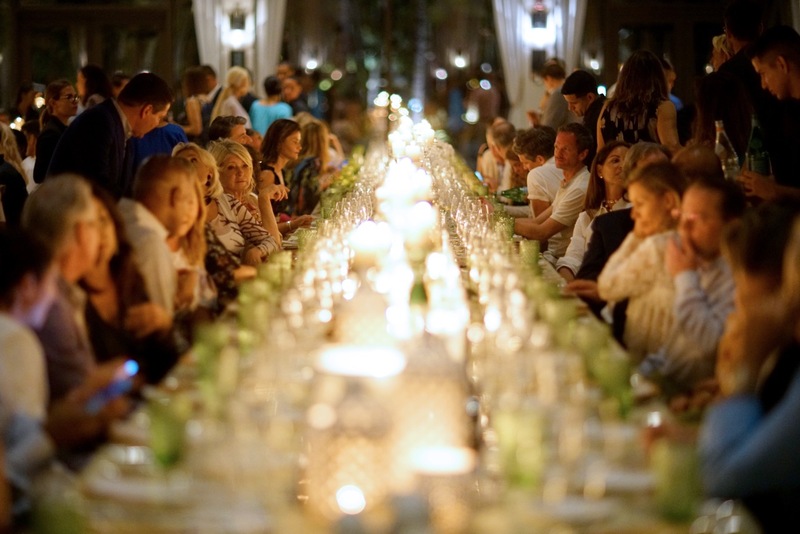 A gorgeous gala dinner was held on Saturday night. 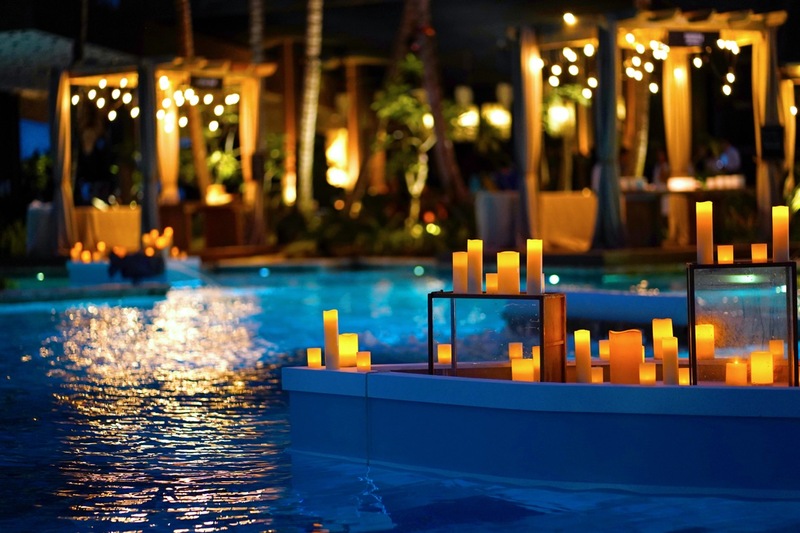 Guests were wowed by 50 foot long tables dripping in elaborate decor, luxurious linens and candlelight. Waiters seamlessly marched out in uniform sequence to serve all dishes at the same time. Tres chic! 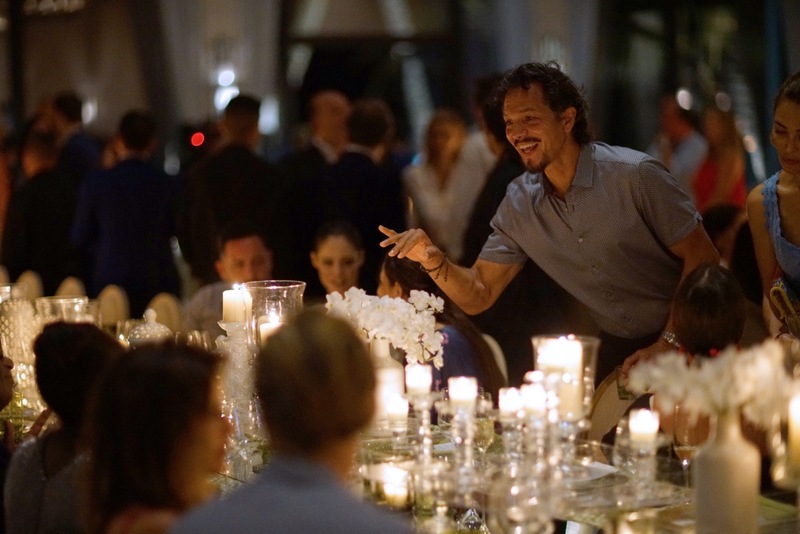 Benjamin Bratt lights up the table at the gala. Perhaps the most moving moment of the weekend occurred on Saturday evening when Tony Okungbowa invited guests to join him in a ceremonial blessing of the island. 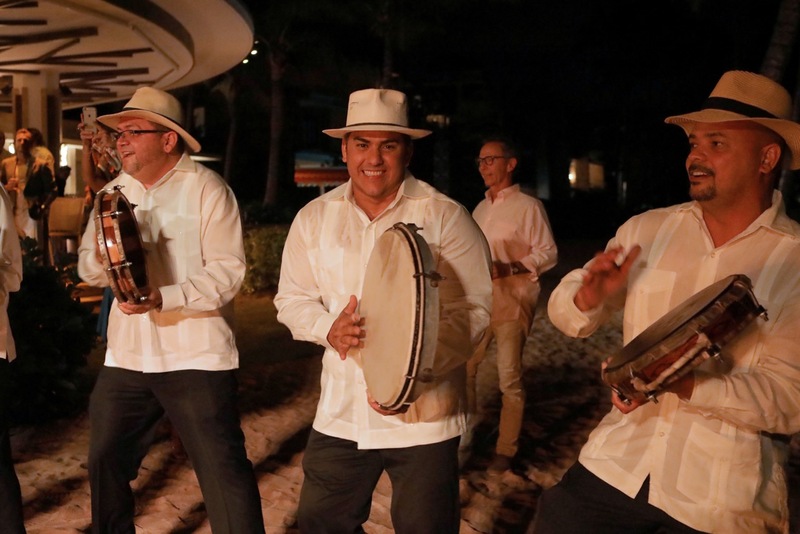 Hundreds of well-wishers tossed herb satchels into the flames of a beach bonfire as inspired by Puerto Rican tradition and with them their hopes for a bright future for the stunning island. Coco Rocha dances by the fire. 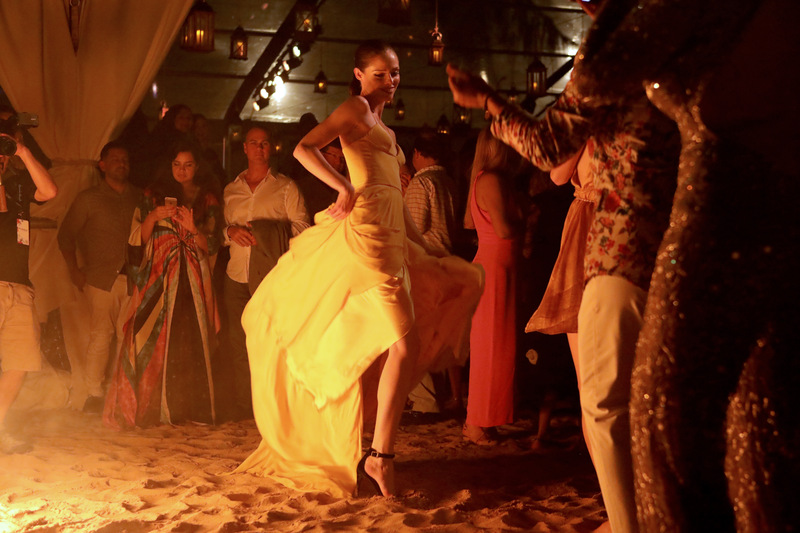 Model Coco Rocha (above) wowed guests all weekend long wearing island inspired looks, and wore a yellow Christian Siriano gown as she danced to the music of plena drummers playing around the ceremonial bonfire. 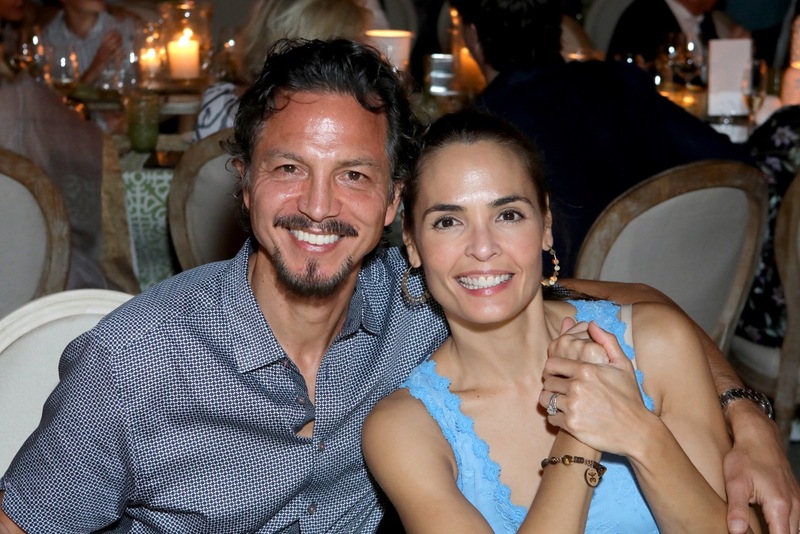 Other notable guests joining the celebration included: Helena Christensen, Jackie Cruz, Jane Krakowski, Michele Hicks, Sophie Sumner, Valesca Guerrand-Hermes, Dree Hemingway, Erich Bergen, Ashley Haas, Bart Freundlich, Ann Dexter-Jones, Zuliekha Robinson, Benjamin Bratt, Talisa Sota, Cory Bond, Tobias Sorensen, Alex Lundqvist, Peter Hermann and Jill Hennessy. 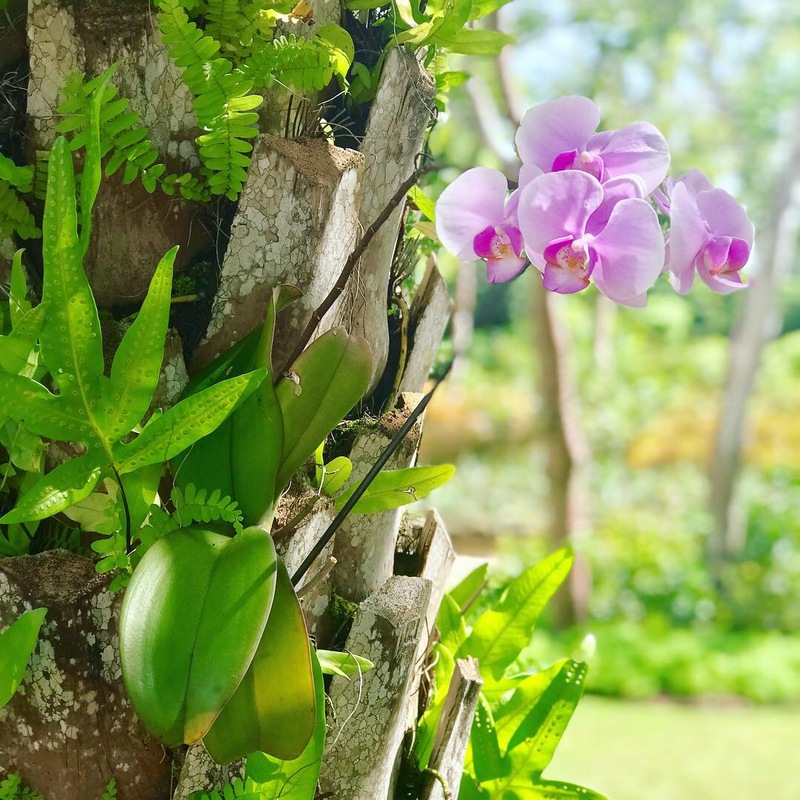 The jewel of Dorado is the restorative Spa Botanico, set within a fragrant pineapple garden and acres of lush natural landscaping which required thousands of new trees to be planted after the hurricane. 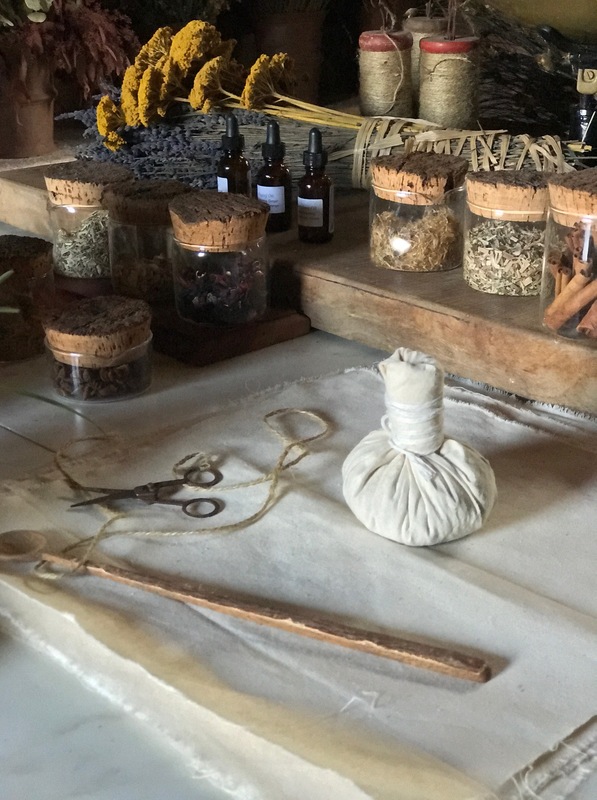 Inspired by nature to impart a holistic sense of well-being, this sanctuary pairs local ingredients with indigenous soothing traditions performed in soaring tree houses and open air haciendas. 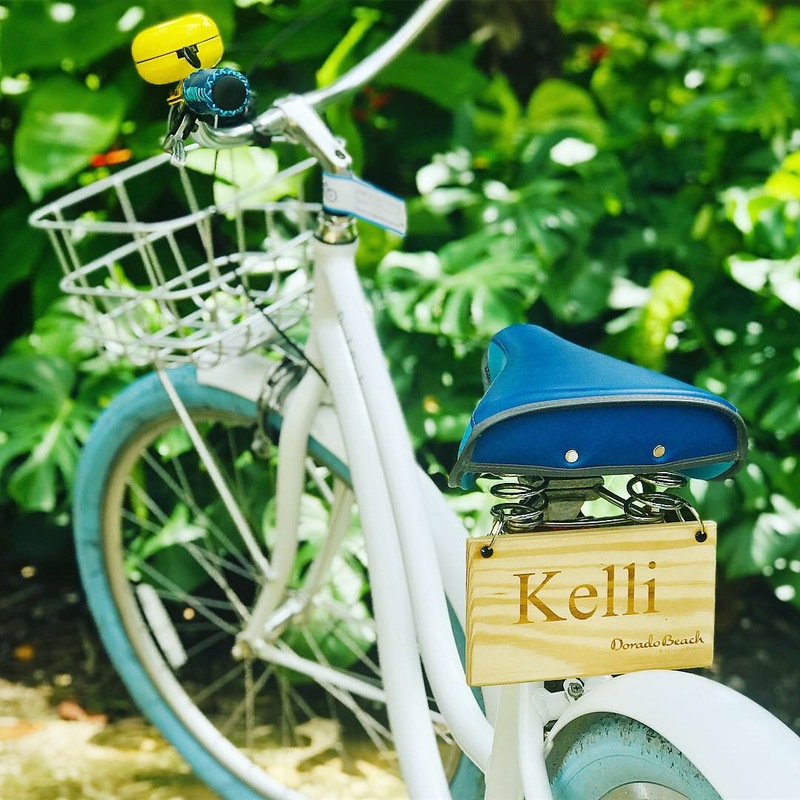 Actress Marcia Gay Harden participated in a tree planting ceremony on Saturday, symbolically cultivating the landscape in the greater comeback of Puerto Rico. 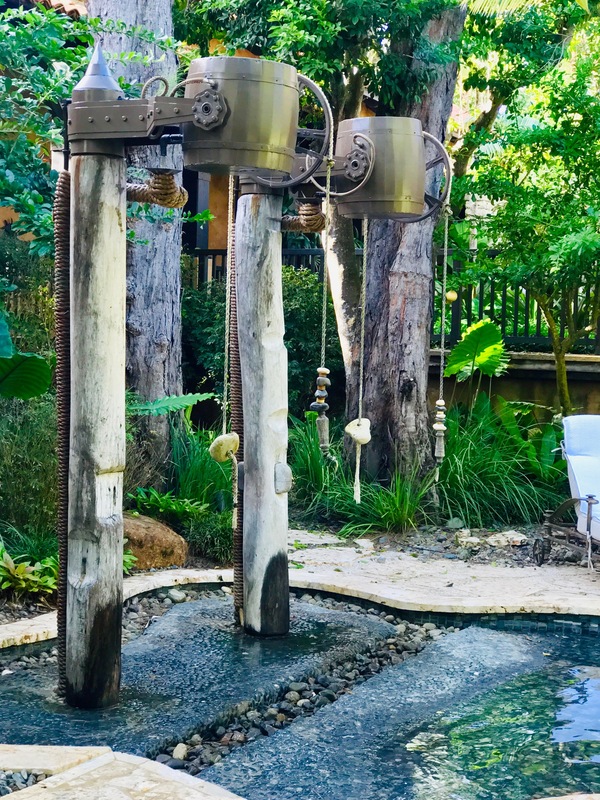 Harden also enjoyed some down time at the Dorado’s stunning Spa Botanico (above, below) which boasts a series of hot and cold plunge pools. 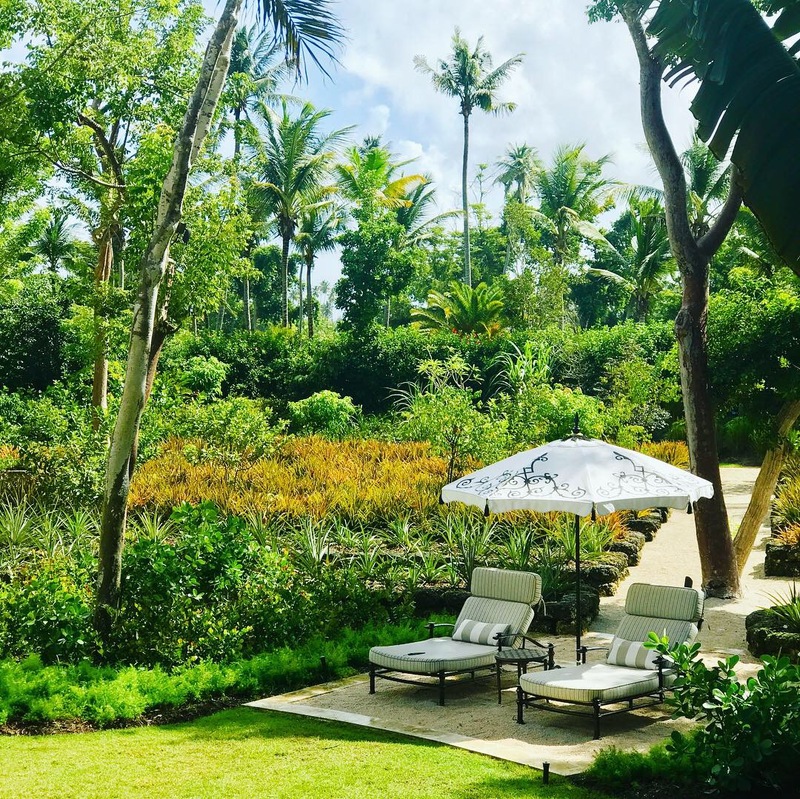 This was my first visit to Dorado Beach Reserve, but will certainly not be my last…such a magical place! 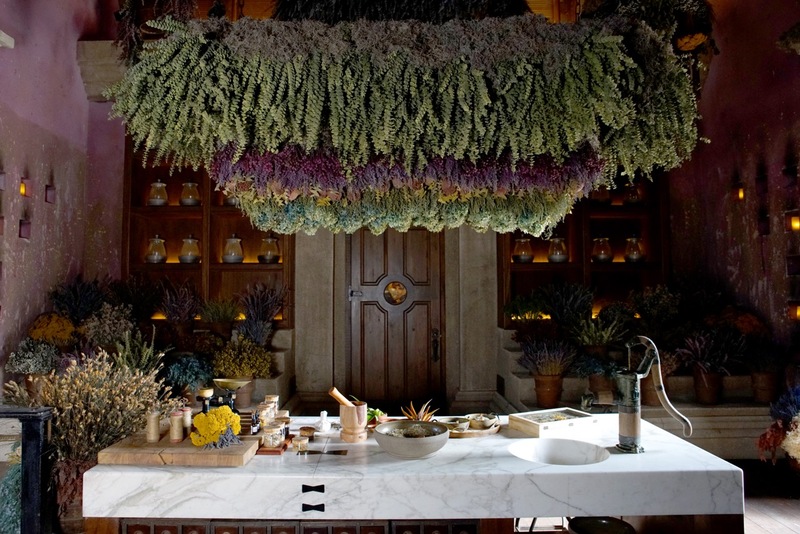 Martha Stewart spent Saturday morning at a World Central Kitchen farm with Chef José Andrés and shared her thoughts on the inspiring transformation the island has made is just one year. 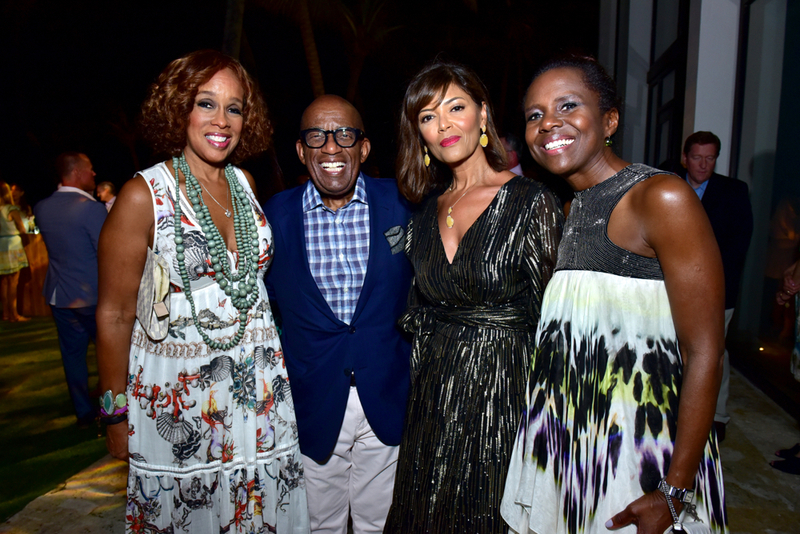 Al Roker and his wife Deborah Roberts eagerly joined in the blessing of the island of Puerto Rico on Saturday night, celebrating the beauty and resilience of the destination. I “heart” rolling out of bed and into my plunge pool. 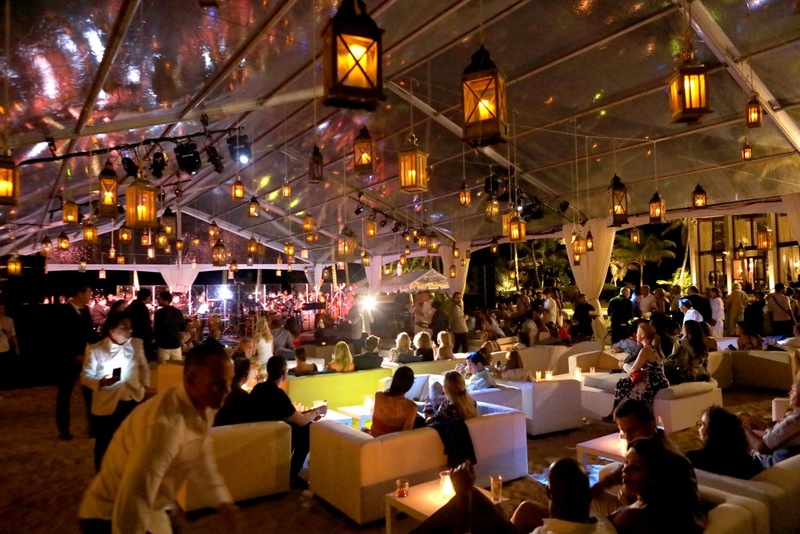 Dorado Beach offers a real sense of barefoot resort elegance. From the dedicated butler who curated my personally tailored experience, to the private plunge pool overlooking the ocean just steps from my bed, to the indulgent spa, and five star restaurants where you can dine with your feet in the sand, Dorado Beach is a true luxury sanctuary designed to allure the world’s most discerning travelers. 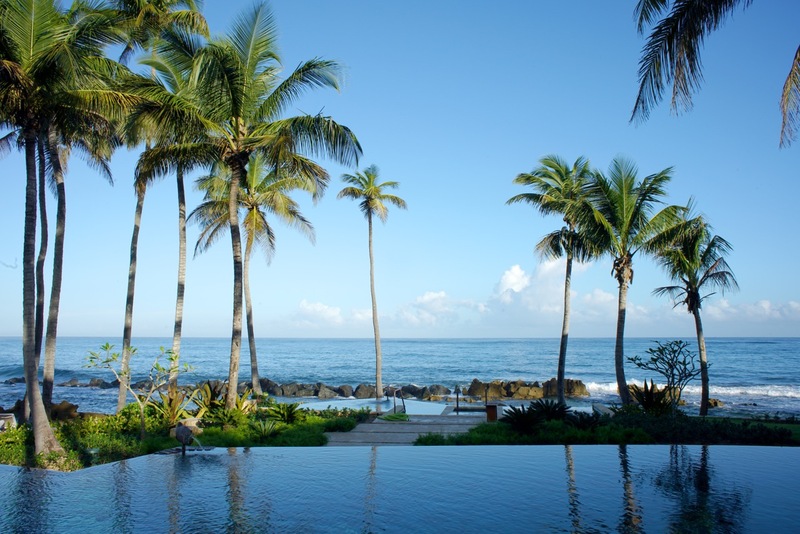 To learn more about Dorado Beach please visit HERE.